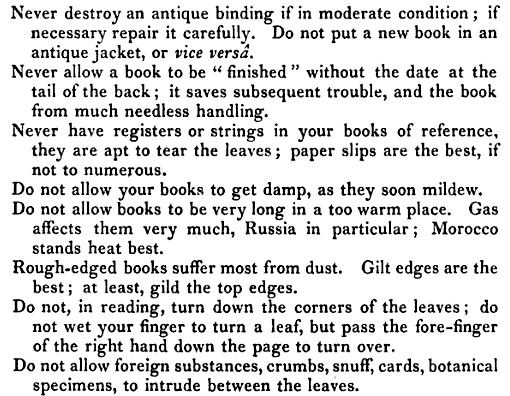 Since it is preservation week, I thought I would do my part by passing along some preservation information from 1891. It might be difficult for me to give up the delightful habit of toasting a book over the fire, and sitting on it, but I will try. At least for this week. Very insightful, thank you for sharing this Jeff! 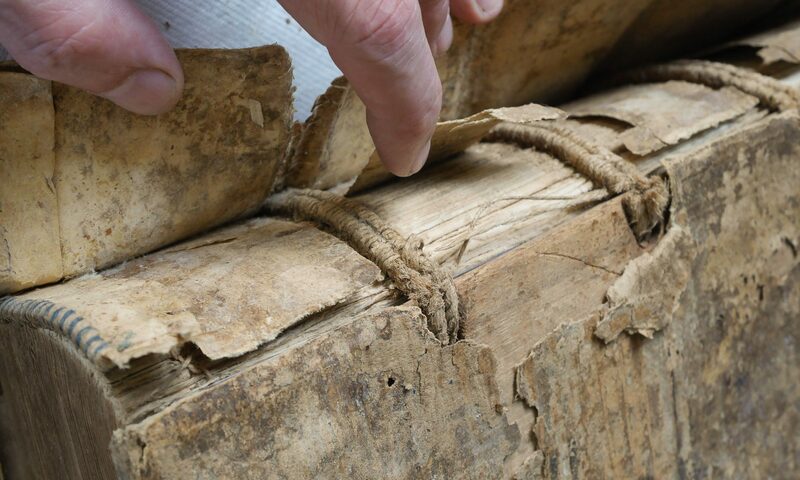 Yes, now I’m wondering if many of the red-rotted bindings from this time are not due to inherently destructive tanning methods, but simple toasting in front of an open flame! this is fantastic. i just shared this with my student co-workers here in book repair at BYU, and we all got a great chuckle out of it. thanks!